The Savannah collection by Jennifer Taylor Home is the perfect addition to any living space looking to add a bit of a contemporary flair. The Savannah is upholstered with high quality fabrics and the wood frames are made from kiln dried birch wood which provides exceptional support and stability. Crafted beautifully with hand tufting all around, this chic bench brings class and lounging comfort to any room in the home, whether it’s used as a footrest, additional seating for guests, or additional space to spruce up your home decor. We offer a unique versatility in design and make use of a variety of trend inspired color palettes and textures to bring new life to any home. 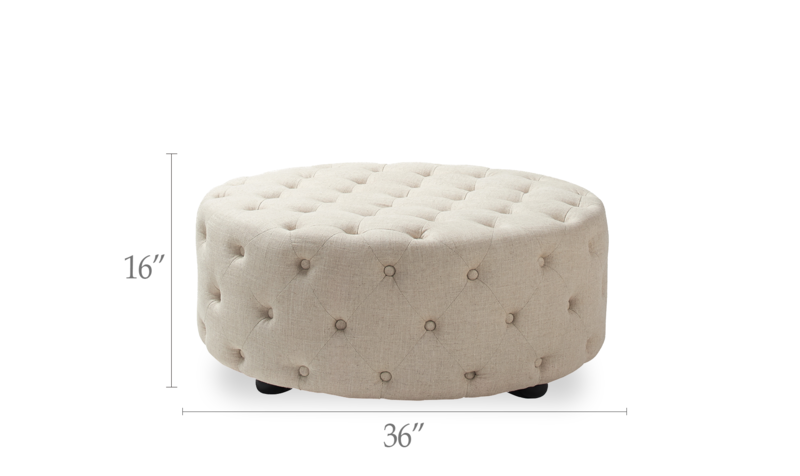 The Savannah Ottoman is the perfect addition to any living space looking to add a bit of a contemporary flair. Crafted beautifully with hand tufting all around, this chic bench brings class and lounging comfort to any room in the home, whether it’s used as a footrest, additional seating for guests, or additional space to spruce up your home decor. Love, love this bench. It was just as described and makes a very grand statement in our sitting room. For the price, I would not hesitate to recommend. Gorgeous and very elegant piece. Love it. 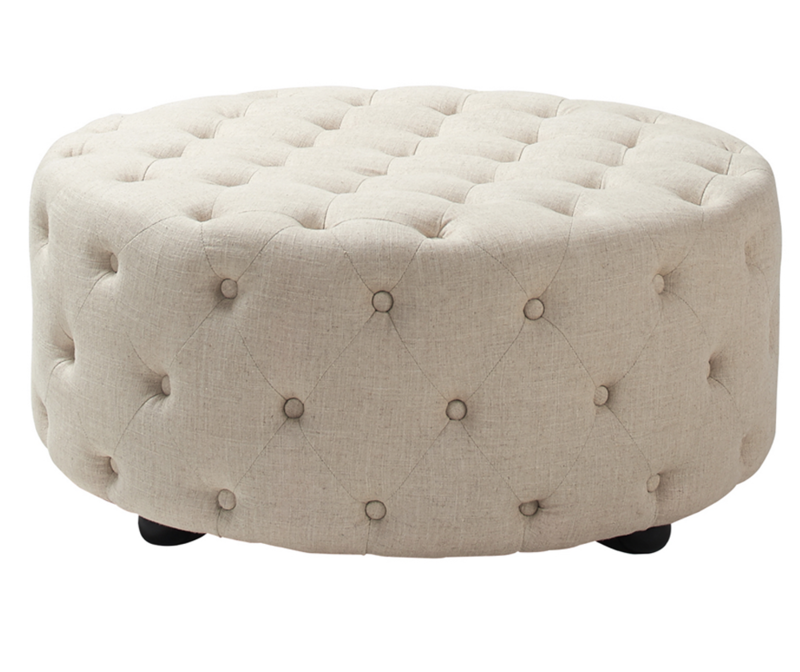 I love this tufted ottoman. It is an ivory color with an underlying of beige to give it a linen look. The little dark brown feet are barely noticeable. It is definitely not a high end piece, but for the money, it looks great. Normally I do not like tufted furniture but I see a lot of it. I didn't find a coffee table that would fit my decor that I liked but the color of this bench did. I tried it and I really like it. It is beautiful and I've received compliments on it. Nothing was damaged or soiled and it was very easy to screw the legs on. I'm a satisfied customer.